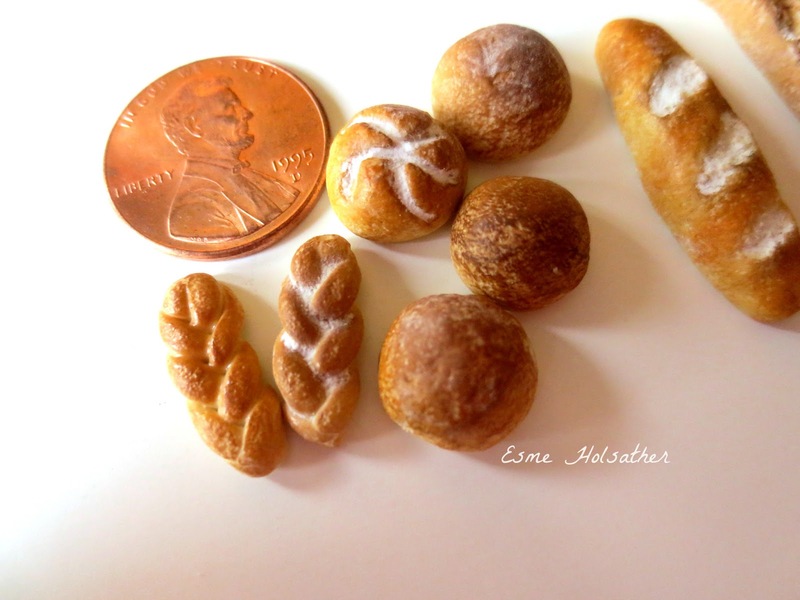 Yesterday I was busy baking some yummy 1:12th scale bread! I made a few different varieties and I'm planning to make more! Braided egg breads, baguette, and a few loaves fresh out of the oven! 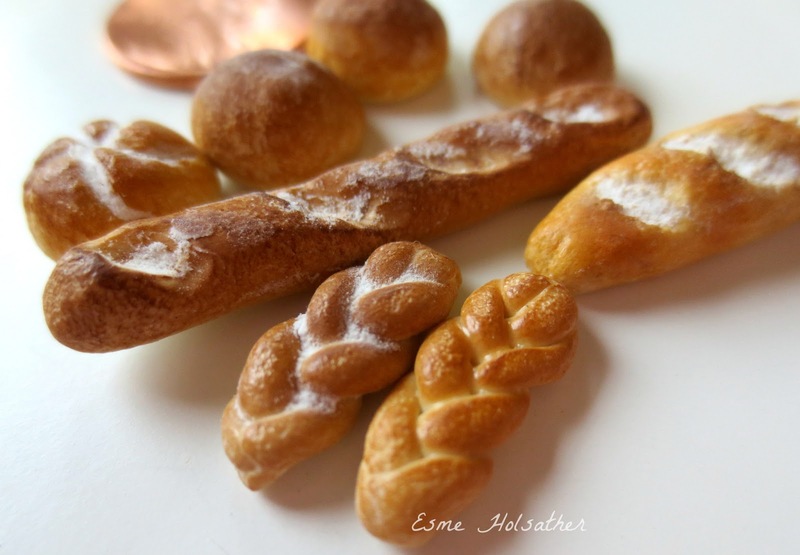 The baguette has a crispy outer crust and is soft and warm on the inside... I love bread! 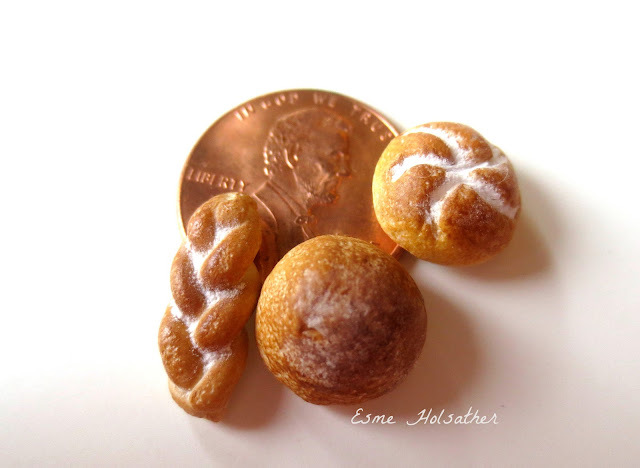 The braided egg breads are probably my favorite from this batch, they were so much fun to sculpt!